The light of the six Sefirot from Chessed to Yessod represents the 6 male months from Nisan which is Aries to Elul which is Virgo. Then the returning light starts the six female months beginning with Tishrei which is Libra. The first two days of Libra is Rosh Hashanah, when the whole world is in judgment. It is the point of the returning light. The beginning of the Seventh month is also when the process of cleansing the global vessel starts. It takes 22 days, which represent one Hebrew letter for each day. The 22nd day is Simchat Torah, when we read the story of Creation from the beginning of the book of Genesis. The following Shabbat we start reading the Torah from the beginning. The Sefira of Yessod represented by Joseph, controls the Zodiac. The Zohar tells us that because Jacob wanted to marry Rachel first then the seed of Rachel’s first child was spiritually saved for Joseph with the powers and blessings of the first born. Jacob’s consciousness affected the whole system. This is also why Joseph’s dreams put him as a king over his brothers. How is it that Yosef (who represents Yesod) controls the Zodaic? Since he is not one of the sign of the Zodaic, as the channel (yesod), does every sign have an element of his energy? It is very powerful that the energy of firstborn was, in essence, suspended for Yosef, but how does that power manifest in him? Yessod controls everything in Malchut. It’s the gate of the light to the world. The wheel of the souls emanates from under the Holy Throne through the Sefira of Yessod. It is the Zodiac wheel. Now without making any drawing here, imagine the Tree of Life with Jacob as Tiferet in the center of the tree. Under him is Joseph as Yessod and the circles round about him are the 12 tribes. The sons were born to Jacob to activate the wheel. Menashe and Efraim were put there to replace the corruption that Reuven made when he “mixed the beds”. Reuven saw the Tree of Life as Ten Sefirot and he assumed that Jacob needs only 10 sons to activate the tree but he couldn’t see the grand plan of the creator. Please note that before Joseph, the channels of the Tree of Life in this world were not complete. The first born to Jacob is an energy part of the Tree of Life. We are the dust of the world compared to those spiritual giants. Jacob’s blessings to his sons reflected their energy. In Jacob’s consciousness, which is the balance of the Tree of Life, he connected to Malchut, Rachel and his first born to him in one line to complete the Central Column of the Tree. 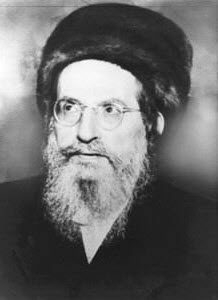 Reuven connected to the eyes and the energy of Chokmah, which is a higher level but not a connection to Malchut and manifestation. Jacob, Tiferet, got connected to Joseph, Yessod under him when he asked him (Genesis 47:29) “שִׂים-נָא יָדְךָ תַּחַת יְרֵכִי; וְעָשִׂיתָ עִמָּדִי חֶסֶד וֶאֱמֶת,” “put your hand under my thigh, and deal kindly (Chessed) and truly (EMET אמת) with me”. Emet represents the central column that connects the upper to the lower. Visit our FREE astrology website to generate birth charts and analysis for you, family and friends. It will help you understand yourself and the people around you. We are all part of a grand plan and Astrology helps us find our life’s work (correction).